We nurture parents + children. ​We're a group of parents and caregivers, friends and neighbors in Austin and nearby communities. We believe in imaginative, messy, creative play for every child with ample early childhood opportunities to explore and learn. We believe in empowering each other as parents and caregivers in the most challenging task given to us--raising our children intentionally and well. We desire to nurture and strengthen the bonds in families and to encourage play + wonder in all that we do. The founder, Erica Hilgart, never intended to start a nonprofit organization. She had recently moved to Oak Park and was struggling in her role as a mother to three children. 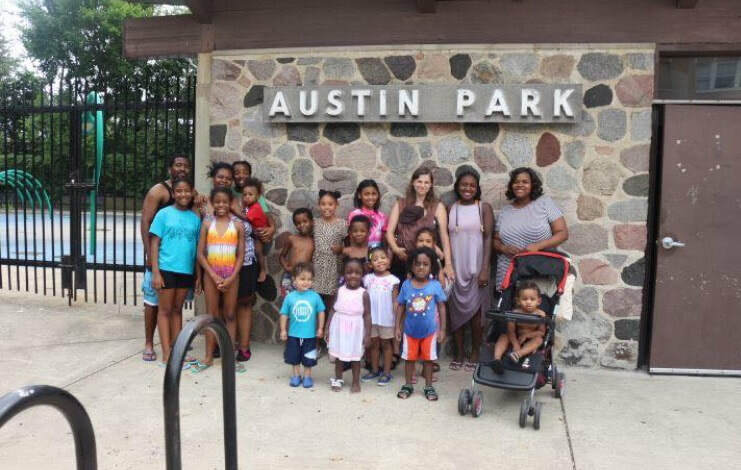 She was attending a Musikgarten class in Oak Park, and with her awareness of the stark dividing line of resources between Oak Park and Austin and her experiences as a former CPS teacher on the west side of Chicago, she had the idea to create a similar parent-child music class in the Austin neighborhood. 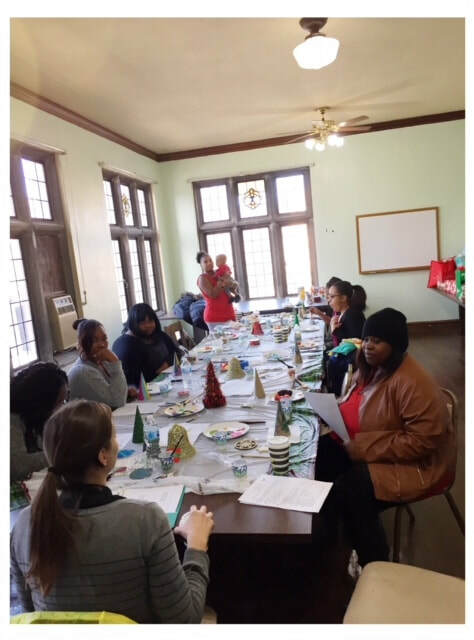 With the help of friends, family, and the space provided by the By The Hand Club, Boppin' Babies & Toddlers Music Class held its first class in January 2016. Week by week, the class grew in number as families spread the word and invited friends to class. In the second semester of 2016, the class had grown to 14 committed families with 16 babies and toddlers. Each step led to the next--including the purchase of the house on the corner of Pine & Race in Austin--to be the future parent-child center for music classes, parent support groups and parenting courses, and private counseling. We became a formal nonprofit, A House in Austin, to begin fundraising for the future work of nurturing families in Austin. Our name is inspired by a nonprofit in the South Bronx, A House on Beekman, where Erica and her son volunteered with the Mommy & Me program. She witnessed the power of parents being in community together and the power of LOVE, support, and education in changing lives. The founder of A House on Beekman, Sara Miller, was honored for us to use the name and touched by how AHOB's work in the South Bronx has inspired our work here in Chicago. She visited our Boppin' music class last year. We are a group of parents and friends who believe all children deserve high quality early learning experiences, and all parents need to be nurtured and supported. rachel.rettberg@ahouseinaustin.org Originally from the United Kingdom, Rachel makes her home in Oak Park with her husband Kyle, and their three sons. Rachel came to A House in Austin from Wonder Works Children's Museum, where she was CEO since 2015. Rachel has served on the Board of Directors for A house in Austin since 2016 and in Spring 2018 completed the Oak Park River Forest Community Foundation's Leadership Lab, where she focused on racial equity. "I am honored to lead A House in Austin into the future. This position allows me to bring together my years of early childhood education experiences with my deep interest in equity, the opportunity gap, and community building, to have a deep and lasting impact on families in the Austin neighborhood." ​Lynette was raised in East Garfield and is a current resident there, where she and her husband of five years are raising their 3 children. 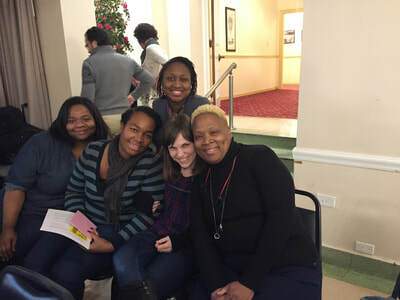 After being home schooled for high school, she attended Harold Washington College and received her Associate's Degree. She is passionate about community and making a difference. She believes in breaking old cycles and planting new seeds of change. In her spare time she enjoys baking bread and Danishes. Becky received her Master of Social Work from UIC in 2005. She worked for the YWCA Metropolitan Family Services as a trauma counselor from 2005-2013. She is trained in Trauma Focused CBT, Play Therapy, and is a Sexual Assault and Domestic Violence Service provider. Becky joined Boppin' Babies & Toddlers Music class as a mama with her youngest child, and she brings care and comfort to our group with her warm smile and genuine conversations. She leads the Parent Chat Hour for parents and teaches Parent Workshop Courses. ​Precious Jones is a mother to three and the owner of a state licensed home daycare, Precious Creations, in Austin. 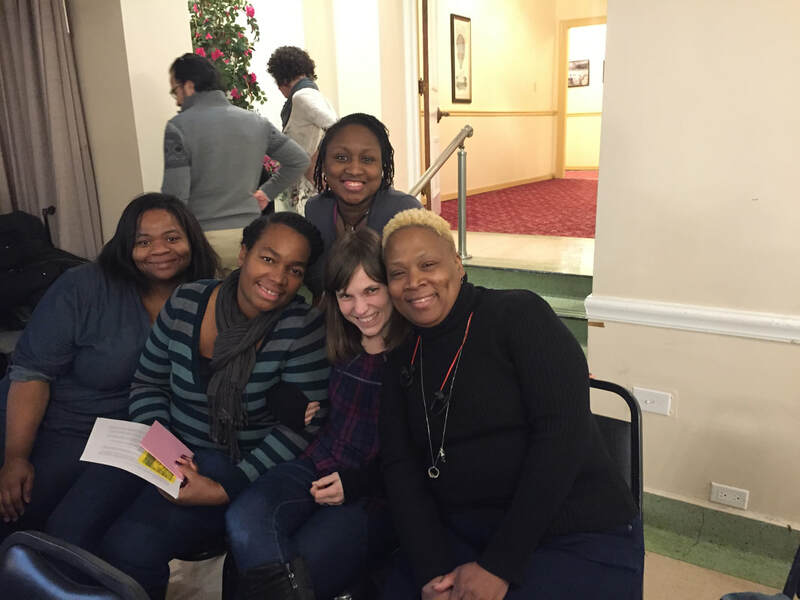 She has been the biggest supporter of AHIA and attended Musikgarten training at the Music Institute in Evanston with Erica. She was the first Boppin' parent to tour the Pine house and to see the vision and dream the possibilities with us. She has the gift of hospitality and possesses a kind, compassionate spirit. She believes in high quality early childhood education and in the power of gathering together. Lykishia met with Erica before the first music class took place, and she helped create the name, Boppin' Babies & Toddlers Music Class. She volunteered her time for a year and then officially became our classroom assistant for all music classes. Her warm smile and fantastic organizing skills help ensure each class runs smoothly. Lykishia is a mother of two and lives in the Austin neighborhood. For the past semester, Kelly has volunteered with us every Thursday. 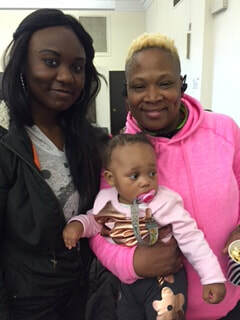 She plays, colors, and cuddles babies and toddlers as a childcare volunteer during Parent Café + The Parent Chat Hour. She has a heart for service and has volunteered to be AHIA's Outreach Coordinator. Kelly has a bachelors in History from Valparaiso University and a masters in Secondary Education from Roosevelt University. She taught for four years at Perspectives High School of Technology in Auburn Gresham. After having her daughter, she has spent the past few years working with nonprofits within the Oak Park/Austin community.